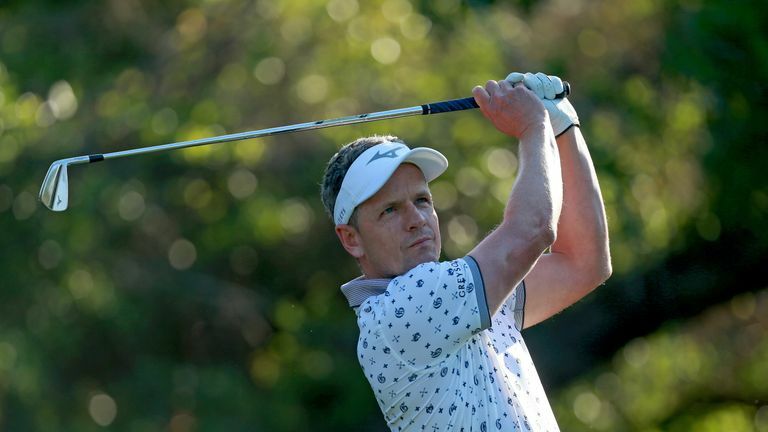 Luke Donald enjoyed a positive start to just his second tournament of the year, while Russell Knox made a historic albatross in the first round of the Valspar Championship. Donald, who was sidelined for almost six months last year as he underwent intensive treatment for a herniated disc in his back, fired a five-birdie 67 to lie just one shot off the lead along with Knox, who was two over with eight to play before his 275-yard albatross at the 11th "kick-started" a remarkable back-nine comeback. Former world No 1 Donald dropped his only shot of the day at the last to slip out of a share of the lead held by Joel Dahmen and Sepp Straka, while Dustin Johnson, who currently tops the world rankings, was one of 18 players to fire a 69 while defending champion Paul Casey carded an erratic one-under 70. Donald missed the cut at the Sony Open in January in his first PGA Tour appearance since last April, but a return to the scene of his 2012 victory in Palm Harbor was clearly a confidence booster as he birdied three of his first five holes. 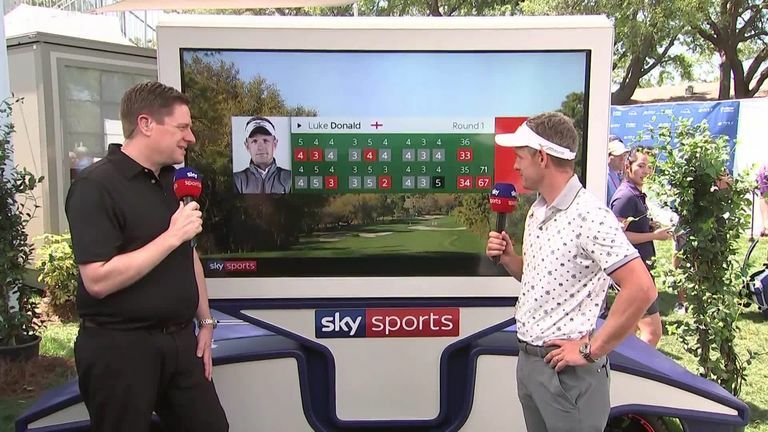 Luke Donald's post-round interview at the Sky Cart in Palm Harbor was interrupted by a flying bottle, but who was the culprit? 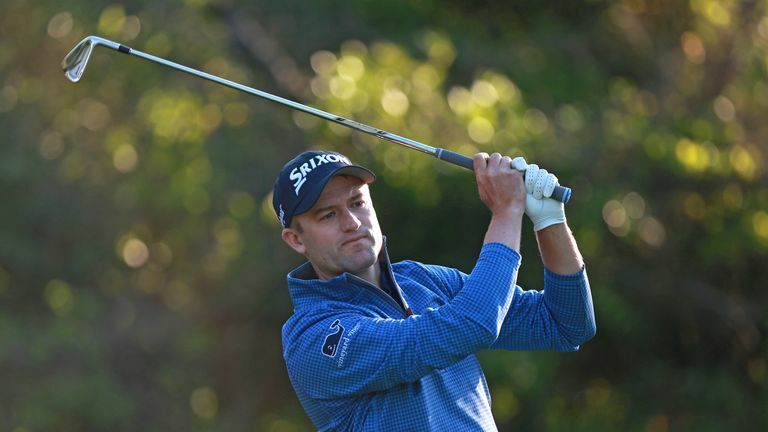 The Englishman picked up further shots at the 12th, where he rolled in a 35-foot putt for birdie, and the 15th before making his only bogey of the day at the last to lie just one stroke off the lead alongside Knox and Kevin Kisner. "It's nice to be back out here," said Donald, whose Valspar win seven years ago remains the most recent of his five PGA Tour titles. "It's been a bit of a struggle the last year, obviously struggling with some back stuff and working hard at it, but backs are tricky and they take a little bit of time. Many of you noticed a bottle (empty!) 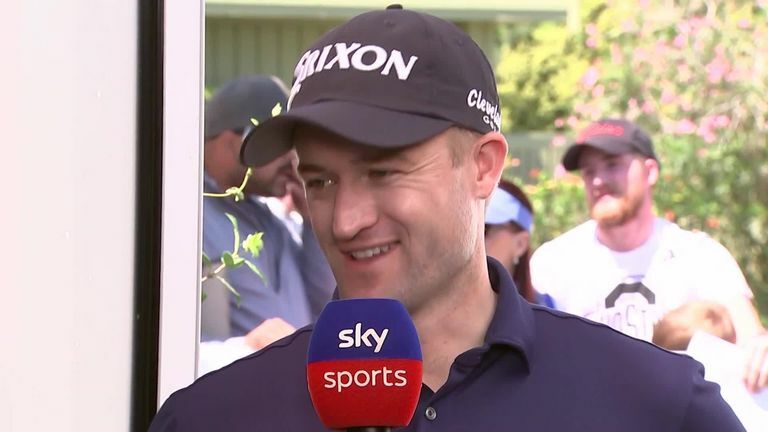 was thrown in the direction of Luke Donald during his post-round interview at the Valspar Championship, but who do you think was the culprit? "It's nice to shoot a good round today. Honestly my goal this week is to play four rounds and feel pretty good at the end of four rounds and then keep going. But to play well is a nice bonus. "People go through injuries, it's just part of sport. I've been really pretty lucky, this is my 18th season, I only had six months off for a wrist injury throughout those 18 seasons, so this is going to happen. But hopefully this is pretty short-term and now I can go on for a few more years and enjoy some good golf." Knox, meanwhile, produced the comeback of the opening day as he stumbled to the turn in 38 before turning his fortunes around with his stunning strike at the par-five 11th, where his perfect fairway-wood from 275 yards pitched on the front of the green and rolled straight into the cup for the first albatross in tournament history. The inspired Scot then made three birdies in four holes and parred the last two storm home in 29, and he said: "It's a good way to go from two over to one under very quickly, and I didn't even have to putt, which was great. "I hit a beautiful drive and I knew that if I just hit a nice three-wood down there I would be somewhere near the green and that's really all I was looking for. I smoked it right on line and it was right down the flag the whole way and it just carried the bunker and it kicked on, rolled, rolled, rolled, rolled, and in she went. "So that was a massive bonus, obviously. I would have been delighted with a birdie, let alone an albatross, so pretty cool. Really got me kick-started into a really nice back nine." With only 28 players managing to break 70 over a tough Copperhead Course at the Innisbrook Resort, it was also a good day for Tyrrell Hatton (69) and 2016 Masters champion Danny Willett who reeled off three straight birdies early in his round to boost his bid to avoid a third consecutive missed cut. Casey made only three pars over the first 12 holes as he mixed four birdies with as many bogeys, but he steadied himself for the last third of his round and converted a nice approach to four feet at the 16th to get back under the card, although he missed a good chance from inside 10 feet at the last following a sublime second from a fairway bunker. The Spanish trio of Sergio Garcia, Jon Rahm and Rafa Cabrera Bello were all level par for the round, but the likes of Jason Day (+3) and reigning Masters champion Patrick Reed (+6) have work to do to avoid a weekend off.